Experience Niagara Falls with a luxurious twist on a 5-hour private tour. From beginning to end, relax in 100% private transportation. Enjoy the exclusivity of a private guide, who is always on hand to answer your questions. You have the freedom to finalize your itinerary to meet your exact specifications. 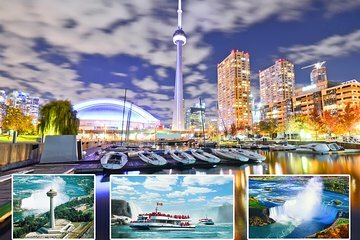 Choose from a long list of attractions including the Niagara Cable Car, Botanical Gardens, and Skylon Tower.